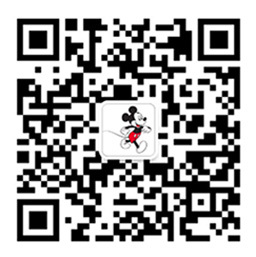 The Walt Disney Company (TWDC) launched the Disney English business in 2007 building upon Disney’s unparalleled catalog of timeless stories and characters in creating revolutionary and highly effective English language learning products and services. Since that time, Disney English has established itself as the leading children’s learning business in cities nationwide, enrolled thousands of children, sold more than 1M books and learning products and won numerous awards for its innovative curriculum. This division of TWDC developed a common educational brand that has been deployed across the entire Walt Disney Company and served as the catalyst for all future product & service development worldwide including print, gaming, video, audio and local teaching institutes. Ensure a safe and secure environment at all times for our Cast and our Guests. Conduct regular safety and security training and drills, ensuring Cast Members understand and are able to execute their center’s Emergency Response Plans. Considers impact of your behaviors on individual, team and the organization. Leading the Center with a balanced focus of Cast satisfaction, Guest Satisfaction, and business results. All are equally important to your success as a Center Manager. 8 years’ experience in managing a fast growing retail or service / guest experience business. Proven track record in team leadership – hiring in local community, performance management, and capability building and team engagement. Bachelor degree or commensurate experience required. Customer service and relationship management skills. Execution capability to ensure the high standard and quality maintaining in the center.